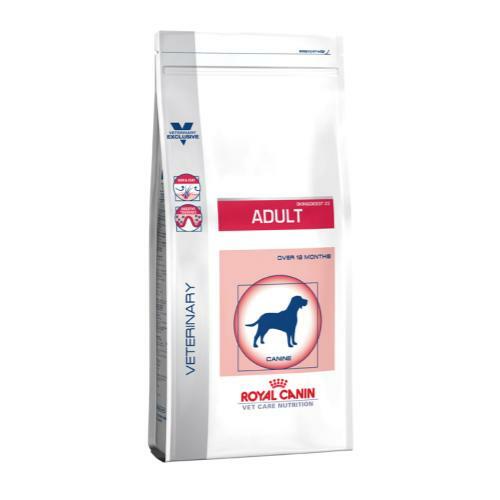 Royal Canin Adult Medium is a complete and delicious pet food, created to help alleviate your dog’s delicate digestion or sensitive skin. Enriched with nutrients which nourish your dog’s skin from the inside, Royal Canin’s tailor made formula helps to maintain and repair skin, protecting your dog from the elements. To boot, this bespoke recipe also stimulates hair growth for a luxuriant, lustrous coat. Created to provide total nutrition via a careful blend of highly digestible protein and dietary fibre, Adult Large stimulates the production of friendly bacteria in the stomach for a thriving digestive system. Meanwhile, antioxidants bolster your dog’s immune system, negating the deleterious effects of free radicals and fighting signs of ageing. And of course, the recipe is made with mouth watering ingredients to appease even the most selective appetites. Vitamin A: 17500 IU, Vitamin D3: 1000 IU, E1 (Iron): 48 mg, E2 (Iodine): 4 mg, E4 (Copper): 9 mg, E5 (Manganese): 62 mg, E6 (Zinc): 185 mg, E8 (Selenium): 0.08 mg - Preservatives - Antioxidants.